Tramadol Street Prices: How Much Does Tramadol Cost on the Street? Tramadol Street Prices: How Much It Costs? If you wonder how much you should pay for a dose of tramadol, read on. You will find some guidelines and information, including the street price of 50 mg of tramadol. It is a good strategy to stay up to date with current prices. It is to your advantage to know both fair prices and street values of tramadol so that you can avoid overpriced products. On the other hand, if you come across very low prices, inquire what the reason is. It may be that the dealer bought an enormous amount of tablets and can afford to sell more for a lower price. How Much Should I Pay For Tramadol? The cost of Tramadol varies from location to location, but typically costs between $1-5 per pill on the street. It’s worth knowing the fair prices in pharmacies for tramadol. You can use that information to compare it to your local tramadol 50mg street price. The smallest amount to buy at once is six pills. That would cost you $8.31, which is $1.39 per pill. If you buy 15 pills, the cost per tablet decreases to $ 0.79. When buying 50 pills, the cost per unit is $0.51. The most significant variation of rate is for a set of 500 tablets. It can cost between $42.80-$198.50, which is between $0.09-$0.40 per single pill. $0.08-$0.39 is the cheapest cost per unit, but you would have to buy 1000 tablets. A Walgreen’s user reports another solution to obtain cheap tramadol pills legally, by purchasing a Walgreens card. With a $20 Walgreens card, the person could legally buy 180 pills for $20. The cost of tramadol doesn’t only vary according to the quantity you purchase at once; it also depends on your geographical location. If you want to have a good overview of current prices of tramadol in your area and the United States, visit streetrx.com. You can also obtain that information about some other countries such as Canada, the United Kingdom, Spain, France, Italy, Germany, and Australia. Let’s see some recent entries from October 21st – 31st 2016. Most recently, someone paid $3.33 for a 50 mg tablet in Springfield, Illinois on October 30th. On October 29th, the price was $5 in Georgia, $0.05 in Olathe, Kansas, $1 in Portland, Maine and $3 in Washington. Two users paid both $1 in Kentucky and Florida, while another one paid $5 in Avon, Indiana on October 28th. Here are some entries for October 27th: Someone paid $2 in California, in Atlanta, Georgia, and York, Pennsylvania, whereas the cost was only $1.5 in Corpus Christi, Texas. On the other hand, another person paid the price of $50 in some area of Pennsylvania. The cost entered on October 21st, and 25th varies between $0.50 in St. Clair, Minnesota to $10 in Williamsburg, Virginia. The price was $5 in North Carolina, and some two locations in Pennsylvania, $4 in Houston, Texas and $3 in Gainesville, Georgia. People paid $2.5 in Missouri and $2 in Pennsylvania, Indiana, and Tennessee. Ohio seemed to have the lowest street prices with $1 on October 22nd. Tramadol 37.5 mg pill. Two users paid $5 in New Jersey on October 30th. Tramadol 150 mg pill. A user reports paying $2 for a 150 mg tablet in Bryan, Texas on October 29th. Tramadol 200 mg pill. One entry from October 28th reads a customer paying $3 for a tablet of 200 mg in California. Tramadol is a prescription drug, so most people buy it on a physician’s order. However, not everyone can afford it, and many people look for other means way to obtain tramadol. Many tramadol users buy the drug in foreign countries, where it is not illegal to buy without a prescription. Some people ignore the fact that this procedure is also criminal in the United States. But many users are aware of it and take risks anyway. Very cautious people get or buy the drug from friends or family members, but users that need the drug may prefer not to rely on relatives and friends. They can either buy tramadol online or on the streets. But make sure that the tablets are indeed what the seller claims them to be. That is particularly important in case you (accidentally or not) overdose. You or the medical team at the emergency need to know what you ingested to take the best care of you. 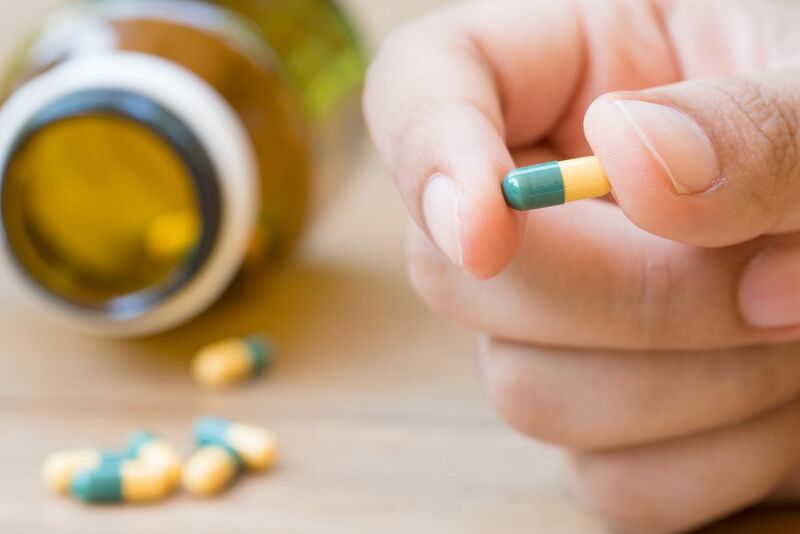 Addiction Resource » Addictive Substances: The Anatomy of Drug Addiction » Tramadol – Drastic Effects of Abusing this Opioid Painkiller » Tramadol Street Prices: How Much It Costs? I had a fall at work n fell 10 feet and now I need to have tramadol to help with pain please help me on How I can get tramadol I can pay to please help .